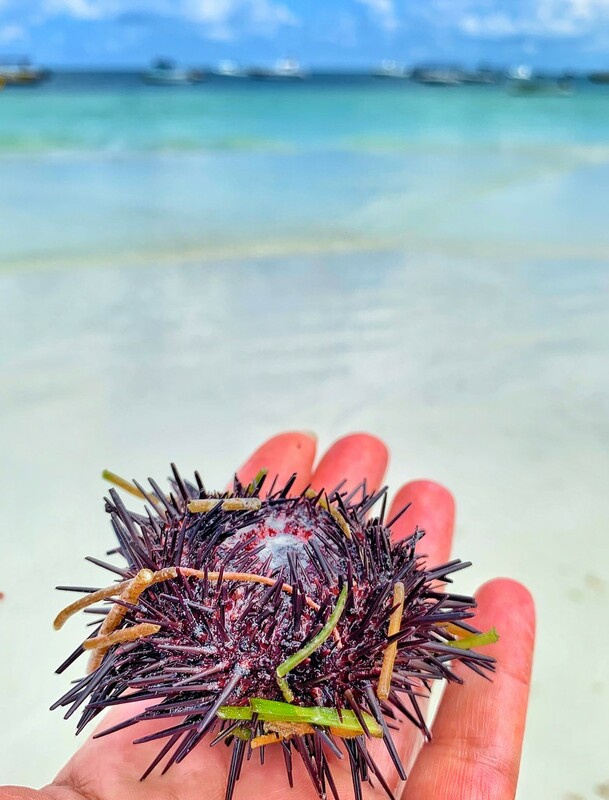 Beautiful - both the urchin and the colorful background! Great shot - there were lots where we stayed in Zanzibar. Awful if you stand on one.